Discover the snowy peaks of Mt Ruapehu. Explore the Turoa and Whakapapa snowfields as you improve your techniques with daily snow lessons. 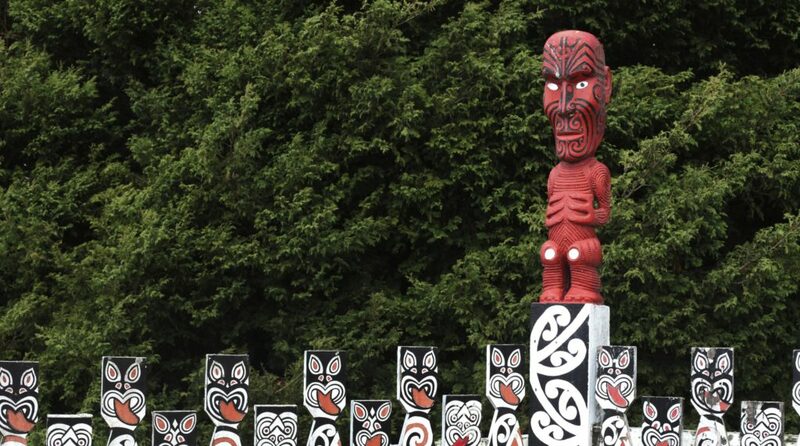 Be immersed in Maori history and culture with visits to local villages. Departure Begin your journey to Auckland, New Zealand. Welcome to New Zealand Board your private coach as you make your way to your accommodation in Tongariro National Park.. Explore Enjoy an afternoon of discovery as you explore your new surroundings. Afterwards collect your snow gear before you enjoy a delicious dinner. After breakfast each morning, transfer via private coach to the ski fields. Students have a choice of spending their time at either Turoa or Whakapapa. Hit the slopes Collect your lift passes and equipment each morning before joining your instructors for daily lessons. Enjoy lunch and afternoon leisure each day, as you practice your newfound snow skills! On the move Board your private coach and enjoy a scenic ride to Rotorua. Agrocentre Enjoy a visit to Agrocentre where you can visit the animal nursery and watch the world-famous Farm Show, as well as visit Woollen Mill and Shearing Museum where you’ll learn about the history of New Zealand’s pioneers. Skyline Rotorua Sit back and relax as the best views in the region unfold before your eyes as the Skyline Gondola carries you 450m about Queenstown. Feeling adventurous? Opt to make your way back down through the Canadian pine forests via luge, burn it up or cruise at your own pace. Tamaki Maori Village A Tamaki village Maori guide will join you as you enjoy a different Maori experience. Learn the history of these proud people with a popular Maori concert. Experience the song, dance, poi and haka of the Maori. Afterwards enjoy an authentic Maori feast! Whakarewarewa Thermal Village After breakfast, transfer via private coach to Whakarewarewa Thermal Village where you will relive the history of the Maori people. Here you will be truly immersed in the rich Maori culture as you are regaled with stories of their past, passed down from generation to generation. Afterwards, explore your incredible surroundings that are home to boiling mud pools and two of New Zealand’s famous (and active) geysers! Departure Board your private coach and relax as you make your way to Auckland airport for your flight home. Thank you for your interest in our WorldStrides NZ North Island Culture & Snowsports Primary Tour Tour! Please tell us a little more about yourself so we can get you sent to the right place.